​Real Madrid have made an official offer for Luka Jovic, despite previous reports suggesting that the Eintracht Frankfurt striker had already agreed terms with Barcelona. Jovic has attracted plenty of attention from across Europe as he currently tops the scoring charts in the Bundesliga with 14 goals. His goal scoring exploits have also been instrumental to Frankfurt's rise up the league table, where they now sit in fifth - just outside of the Champions League spots. It was previously reported that J​ovic's representatives had already 'largely agreed' terms with ​Barcelona and that a transfer fee was the only part of the deal that was yet to be finalised. However, it now appears that ​Real Madrid have scuppered those plans and, according to ​Bild, Los Blancos have submitted a €45m bid for the 21-year-old. Real Madrid are looking to overhaul their currently ageing squad and they've identified Jovic as the perfect candidate to lead the line in years to come, taking over from ​Karim Benzema. Jovic is currently on loan from Benfica, but he was set to complete a permanent move to Frankfurt at the end of the season for €7m. This means that the negotiations will take place with the German outfit, rather than with his parent club. 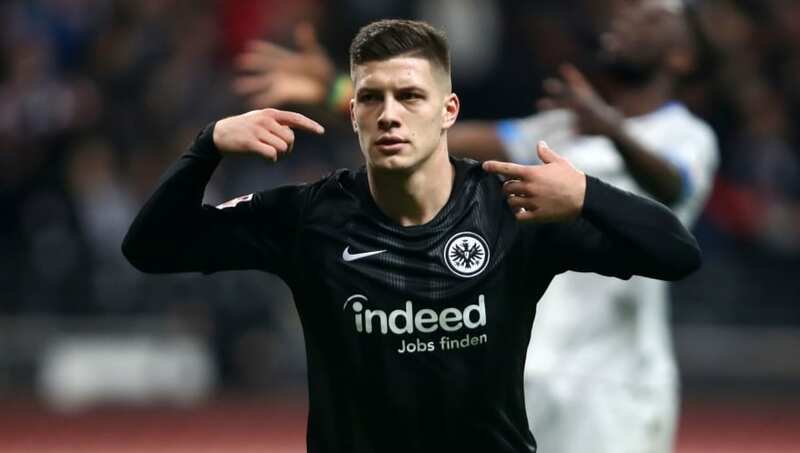 Real Madrid and Barcelona are not alone in their pursuit of Jovic, as both ​Chelsea and ​Bayern Munich have also been credited with an interest in the Serbian. Both sides have previously sent scouts to watch him in action for Frankfurt but neither side is yet to make a concrete offer.